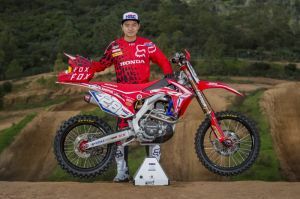 On Sunday, the 19th March during the second MX2 race at the Argentina MXGP, Chihiro Notsuka crashed fracturing his back and dislocating his hip. Following the accident, Notsuka was taken to Buenos Aires hospital where he underwent an operation on his C6 and C7 which was plated. With his hip dislocation, there were bone fragments found floating around the injury so whilst under anaesthetic, these fragments were also removed. Notsuka is now back in Japan and has been checked over by a Japanese specialist. It is reported that the work carried out in Argentina was of a very high standard. The prognosis for Notuska is that he can potentially be out for 6 months or more whilst the vertebrae fully heal. His hip requires another couple of weeks to heal before he can resume light training. He will remain in a neck brace for the next few weeks before he starts his physio back to recovery.